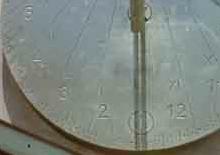 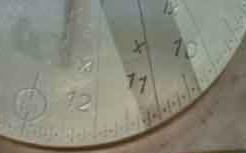 The Spot-On Sundial is easy to read. 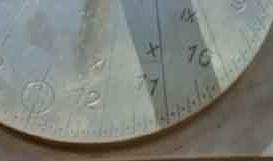 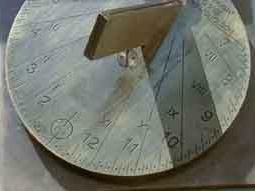 The shadow of the top slanting edge of the gnomon travels round the sundial in a clockwise direction. 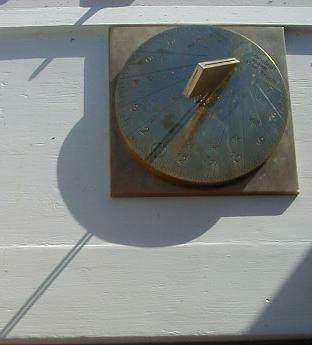 And so we reach the time of solar noon (12 in winter and 1 pm in summer) with the line of light shining through the air gap, and directly across the circle.